How Can I Find Older Issues of the Concordia Journal? Available on ConcordiaTheology.org are pdf copies of the most recent issues of Concordia Journal. The full catalog of back issues of Concordia Journal (1975-present), along with the indexed catalog of its predecessor Concordia Theological Monthly (1949-1974), are available online at AtlaSerials® (Atlas®). Atlas is an online full-text collection of major religion and theology journals used by libraries, librarians, scholars, theologians, clergy, and interested laypeople. Most seminary and theological school libraries have access to Atlas as part of their online database offerings. 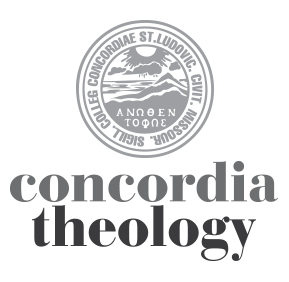 Atlas offers every article of Concordia Journal and Concordia Theological Monthly as a downloadable pdf, fully indexed and cited, and completely searchable by title, author, and keyword. Alumni of Concordia Seminary, St. Louis, can obtain a free account to the full Atlas database of over 325,000 records by contacting Public Services in the Concordia Seminary Library, at librarycirc@csl.edu or 314-505-7030. Many other theological school libraries offer similar access to their own alumni. Subscribers to Concordia Journal also have free access to Concordia Journal on Atlas through the subscriber log-in and password which is printed on the inside front cover of every issue of Concordia Journal. For more information, to subscribe, or to order print copies of Concordia Journal, please contact the editorial office at cj@csl.edu or 314-505-7117. Featuring Mark Kiessling and Julianna Shults on the millennial generation, Joel Okamoto on "normal nihilism," and Jeff Gibbs' follow up on righteous anger. Featuring the keynotes by Mark Seifrid, David Maxwell, Erik Herrmann, and Mark Mattes, from the 2017 Theological Symposium marking the 500th anniversary of the Reformation. A special partner issue with Concordia Publishing House providing context, background, and analysis of the new edition of Luther's Catechism and the new Lutheran dogmatics. When can we expect the back issues of Concordia Journal to be available on CDs? Is there any other form of catalog for those of us in the field so we can search through past issues for articles relevant to whatever we happen to be studying? Thanks, Christina. A PDF of the Winter 2013 Concordia Journal will be available here next month (Feb 2013).